It’s hard to pin down when the BC Sheep Federation officially began addressing interactions between wild and domestic sheep and disease transfer between the two populations. As early as 30 years ago, BCSF was involved with sheep health in locations that contained wild sheep. In the 1980s, grazing contracts became active in the forestry cutblocks and the practice continued into the late 1990s. The newly-formed BCSF started a Shepherd Training School to train people for jobs on farms and cutblocks. BCSF quickly established a flock health program known as the BC Sheep Federation Quality Assurance Program. 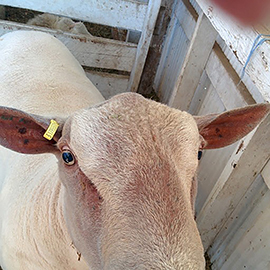 Health protocols for cutblocks were established and all sheep coming off and going back on the trucks were monitored and issued health certificates. Most of the issues with interaction now occur with domestic sheep on private land. The BCSF has been involved with the Sheep Separation Program since 2013 when the current program co-ordinator was hired. Domestic sheep producers and representatives from government and wild sheep groups are all part of the working group meetings and conference calls. The BCSF felt it had to be on board to bring the face of the domestic sheep industry to the table, give feedback on some of the issues brought forward and advocate for the sheep producers who live in closer proximity to wild sheep habitat. 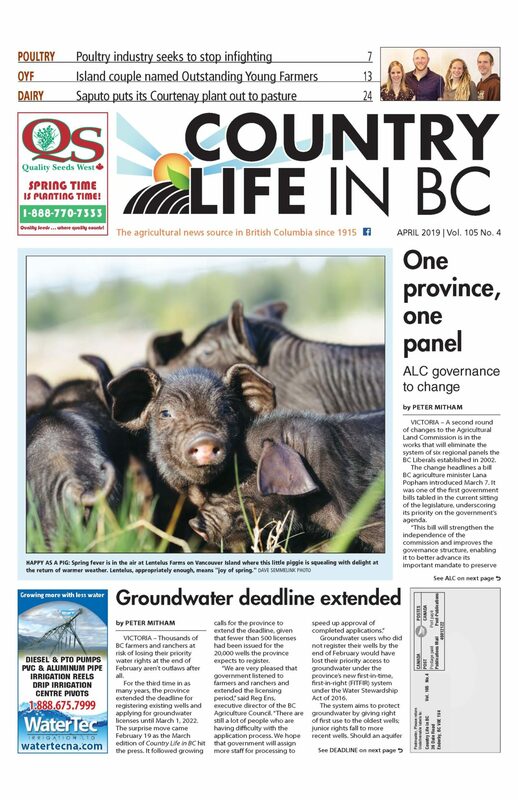 The BCSF has endeavoured to keep producers informed of the concerns wild sheep advocates have over disease transfers between the two species. The most recent focus has been on a pneumonia, Mycoplasma ovipneumoniae (MOVI), which exists in some domestic sheep and is said to have devastating effects on wild sheep that encounter domestics carrying the disease. Domestic sheep have become the target of several town hall meetings, social media and press releases by wild sheep organizations. In their attempts to protect wild sheep populations, they have zeroed in on this disease and adamantly concur that die-offs of wild sheep are only due to this pneumonia. Little is said about hunting, road kill, predator losses and habitat degradation that all take their toll on wild sheep. The BCSF has worked tirelessly with the Separation Working Group, met representatives from wild sheep and wildlife organizations, and most recently has been involved with a research study conducted by Dr. Scott Mann from Thompson Rivers University to test domestic sheep for MOVI. Several sheep producers co-operated in allowing their flocks to be tested. The results of the testing are confidential but initial indications are that while there are some animals that test positive for MOVI, many flocks tested were free of the disease. Although this is very preliminary work, it is the start of attempts to gather information that will contribute to informed, scientific and responsible responses to interactions between wild and domestic sheep. The BCSF is adamant that using legislation, covenants and similar protocols are not acceptable to the industry, nor do they really address the issues. Separation techniques, such as double fencing, electric fencing, road and pathway guards and refuge pastures, may be effective in some cases but the question arises as to who will pay for them. It is not realistic or appropriate to expect sheep producers to pony up to separate their flocks when they have no control over the wild sheep populations and where they might roam. It is no secret that wildlife organizations are agressively lobbying government to deal with contact issues. More worrisome is the latest suggestion that those organizations intend to resort to litigation. These organizations have a large war chest and a significant membership base. BCSF is a small producer group led by volunteers, no paid staff, and with limited financial ability to respond to such measures. The BCSF has been at the table with wild sheep interest groups to come up with workable solutions to prevent disease transfer between the two species. It is our belief that answers lie in communication, co-operation and coming to consensus to allow the domestic sheep industry to grow while at the same time preserving the wildlife of BC. Valerie Moilliet Gerber is president of the BC Sheep Federation. This piece was co-authored with Roma Tingle, a past president based near Prince George.